I’m always in the market for a new holiday dress. Next week is Easter and we’re celebrating with our entire family at our home. Easter reminds me of pastels, spring and family. I thought I was going to wear a dress that has ruffles, a black and gold print that I recently got in the mail… until this one arrived. THIS pink, pineapple, asymmetrical dress is THE ONE. Easter is officially on. Thank you, DressLily! Also, with my order I received this perfect pale pink one-piece swimsuit. It’s actually so comfortable, that I may be wearing it as a body suit this summer. I love the racer back, the high leg and the precious pink color. A breezy cover-up, strappy sandals and a day at the beach in complete. 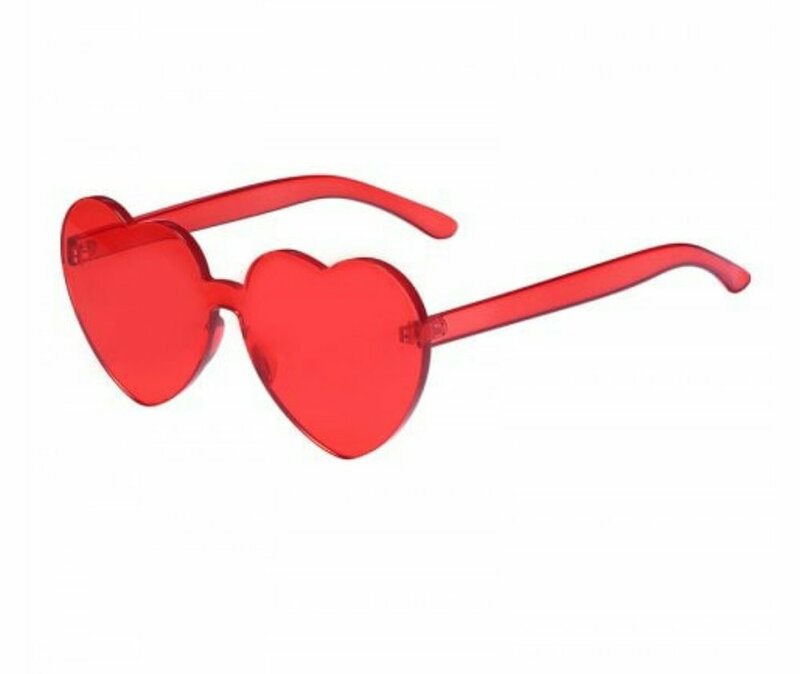 Lastly, in my order to complete my look, a pair of heart shaped, red, sunglasses. How cute are these? I love that they are actually kinda oversized. I’m a big girl and little sunglasses look off balance on me. I need a pair of big red heart shaped sunglasses to get me through spring and summer. The best part is, when you put them on, everything looks rosy. Love it.